One of the great things about road trips is that if you aren’t driving you have plenty of time to sit there and read! Since I had received happy mail just a week prior to us leaving for BC I had plenty of reading material! I have two books to recommend to you. Hmmm who gets to go first. I enjoyed both of these. Since I read In Good Company first, let’s go with it. Millie Longfellow is a delightful character if not a bit of a magnet for trouble. Her enthusiasm is not always well received, particularly not by the noble class and especially not by Everett Mulberry. However, Mr. Mulberry has inherited three rambunctious children who have a habit of running off nannies, so he gets stuck with Millie. Perhaps it would be more accurate to say that they get stuck with each other. Everett has a chance to see life through Millie’s more playful eyes and also has the opportunity to tap into his own heart’s desires. These things happen much to the chagrin of his fiancée, who has no use for Millie and her shenanigans or the ‘brats’ as she calls them. Together Everett and Millie discover the real reasons behind the children’s atrocious behaviour and uncover the mystery behind their parents’ death. Next up and completely opposite in situation is The Innocent. Carlyn Kearney finds herself in a difficult situation with unwanted attention from a zealous landlord and makes her way to a Shaker colony. The faith her mother has instilled in her runs deep and she finds the Shaker ways and beliefs difficult to swallow. Her mother’s advice to, “Pray anyways.” helps her through the circumstances she finds herself in as a widow, penniless and harassed. The good sherriff Mitchell Brodie is all about maintaining the law. When events at the Shaker colony cause him to make numerous trips to investigate he keeps finding excuses to seek out the young widow. Sister Edna and the rest of the Shaker village won’t make it easy for him to get close. The Shaker beliefs and customs are fascinating to discover. However, it was Carlyn’s mother’s words that really impacted me in this story. ‘Pray anyways’ keeps running through my mind since reading this book. Both of these books are available at your favourite bookseller. 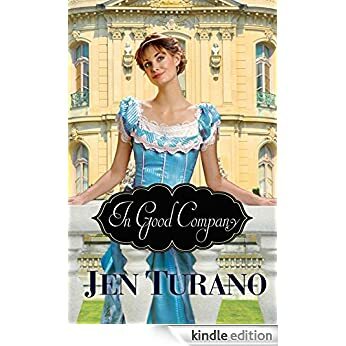 In Good Company was supplied by Bethany House, a division of Baker Publishing Group. 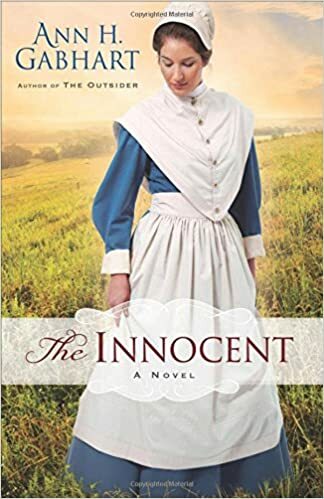 The Innocent was supplied by Revell, a division of Baker Publishing Group. With six kids, a farm, a ministry and dreams poking out in every direction I need plenty of grace to keep all the balls in the air. The sweet thing is that when I drop them, that crazy grace of God is there telling me I'm still okay...and you are, too...welcome to this place of grace. Operation Christmas Child, Book Goals and More! !